Hello!! After being mojo-less for the last week or so I seem to have gotten a little bit of it back after I made the card I posted the other day (you can scroll down or click here to see it). I had wanted to make a card for the current Simon Says Stamp Wednesday challenge of "its hip to be square" and so I combined it with the current CAS on Sunday challenge of balloons to create my card. 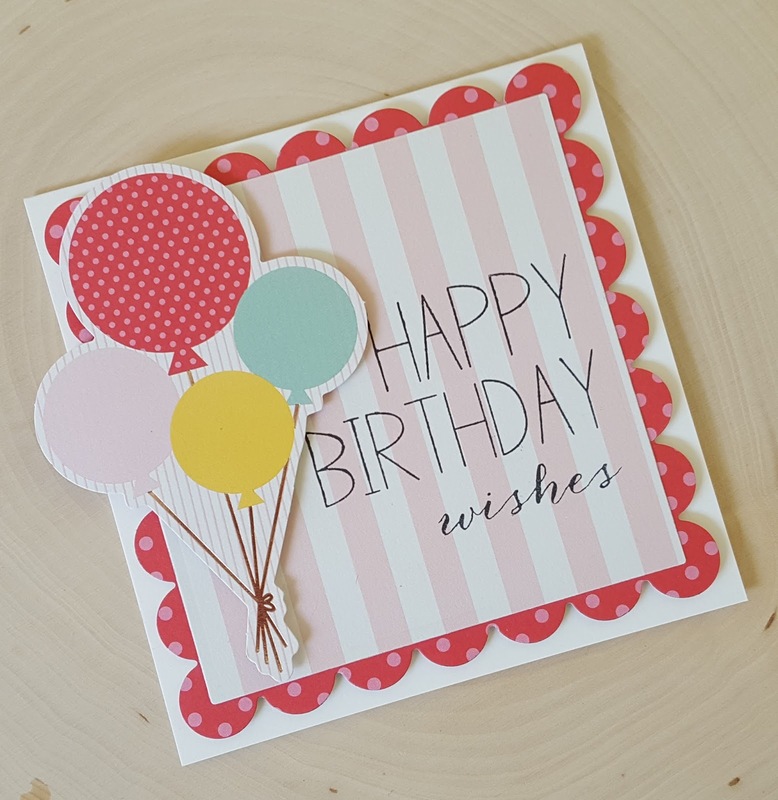 I recently purchased a My Mind's Eye Hooray bundle from Peachy Cheap that included a package of fun die cuts including several balloons and so I used one for my card. 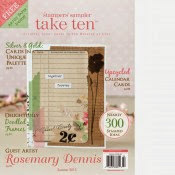 The scalloped and plain squares were die cut from some of the paper from the Hooray 6x6 pad using Spellbinders dies. 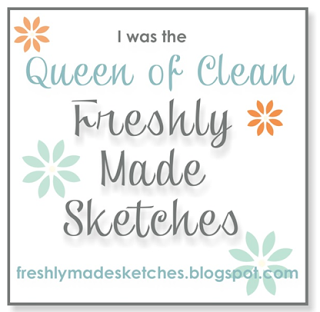 The sentiment is from the Simon Says Stamp set Celebrate. 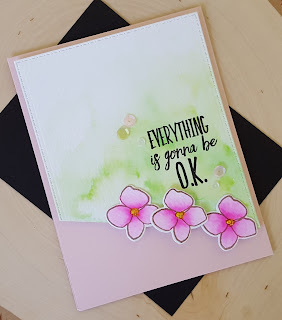 I laid the striped square on my mini MISTI, placed the sentiments how I wanted then, close the lid to my MISTI and then inked up everything for perfect placement stamping! Love that!! Since this card uses die cutting and SSS products I also included it in the current SSS flickr challenge to "cut it out". 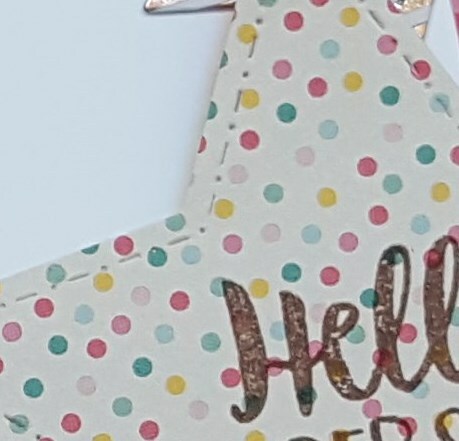 I love that this card took next to no time to make thanks to the die cuts! Going to add this to the current City Crafter challenge of birthdays. Hello!!! 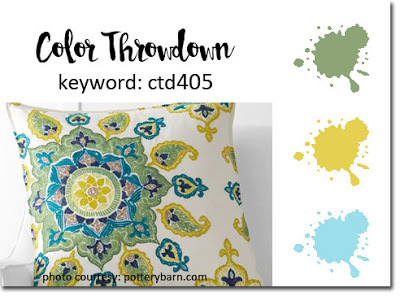 Playing along today with this month's PTI blog hop. Nichole provided a lovely inspiration piece that had my thoughts going in all kinds of directions. I really wanted to play off of the way the paint palette looked and so tried an idea that unfortunately totally bombed, lol! But that is why we try things, right? Since I had to take my little guy (seriously I think I have to stop saying that... he isn't that little anymore, lol!) to swim lessons on Wednesday (the day before the hop)evening and I still had to make dinner my crafting time was limited. So I went with an idea that I think turned out nicely. When I looked at the inspiration photo I saw the colors of coral, dark yellow and navy blue. I used Abandoned Coral and, Fossilized Amber distress inks and navy blue cardstock. 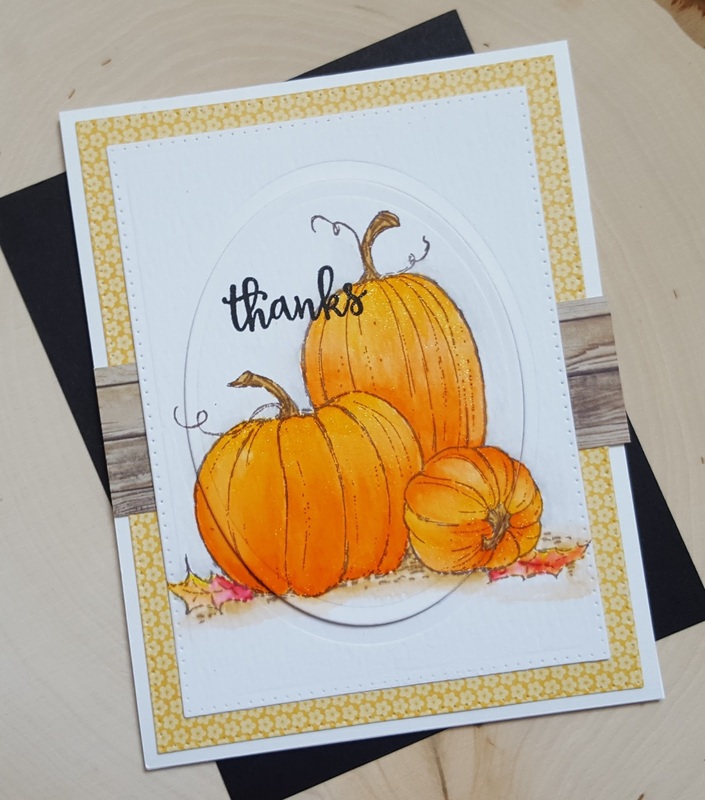 The PTI stamps I used are from the Brushed Off stamp set and the new Color Pop Autumn mini make it market kit. 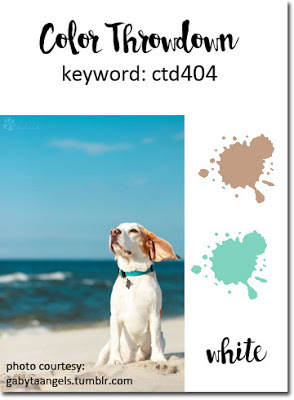 The brushed off image was stamped in Abandoned color on watercolor cardstock and then blended out with water. I did that to provide some of the depth of color that you see in the inspiration photo. I added some additional color by stamping several of the detail leaf images from the Color Pop Autumn and blending them out with water. The word "bountiful" was die cut from navy cardstock three times and adhered together. 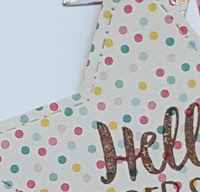 The watercolor panel was then die cut with the largest die from the Inside Out die set and a second was die cut from kraft cardstock to provide a little bit of a mat. I wanted to bring in the silver from the paintbrushes and so I added a coil of silver thread to the panel and then adhered the die cut word on top. 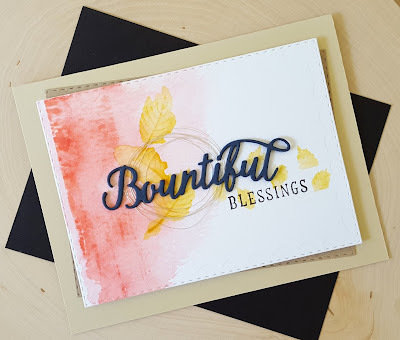 Finished off by adding the sentiment "blessings" in black ink. Thanks for stopping by today... 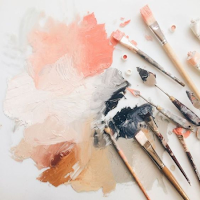 I hope you will head over to the AJVD blog for a look and to let me know what you think. Hello!! After our vacation I'm still trying to get back into the mood to make cards. 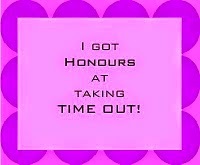 I finally decided that today was the day I was going to get a few made and hopefully get my mojo back. Kept both cards super simple to make it easier on myself! 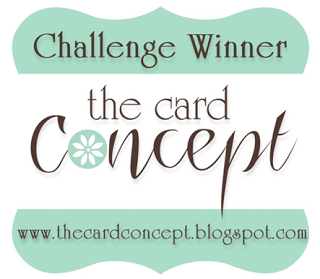 First up is a card for the current Color Throwdown challenge, as well as the current Sketch for You to Try challenge. 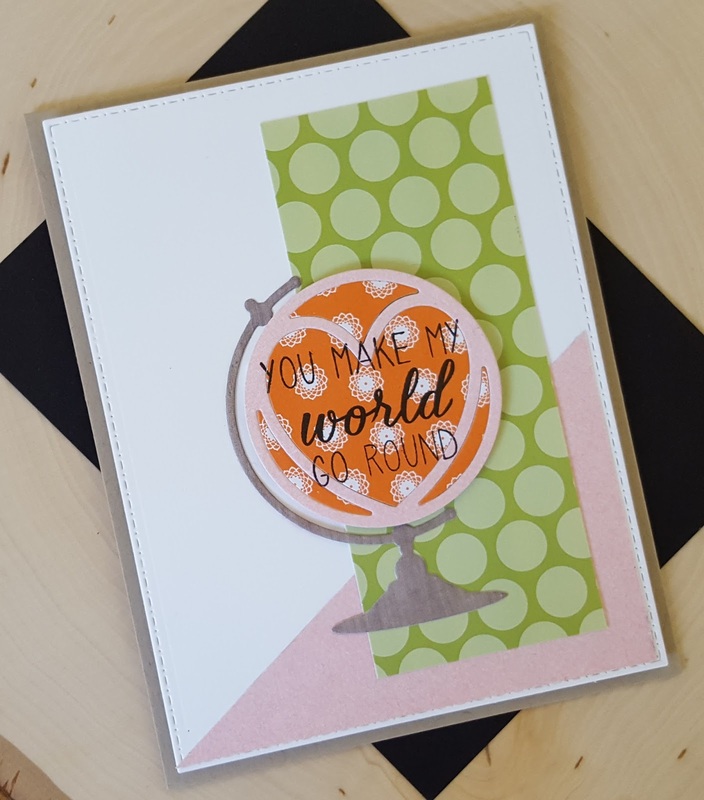 Initially I was going to use a different Reverse Confetti set for my card, but then decided that I wanted to use the fun RC Globe Confetti Cut and so I used the RC set My World which is a companion to the die. Took forever to find the right combination of papers. At first I was going to use cardstock, but did really like how things were looking so switched over to patterned paper. Once I got that all worked out it was just a matter of putting everything together and figuring out where to put the sentiment. I didn't like most of my options for the sentiment and then I realized that it would fit nicely inside the actual globe and so that is what I went with. I like how it turned out! 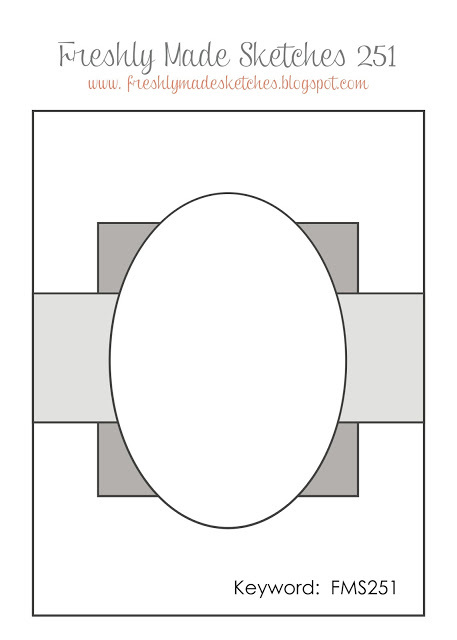 The next card is for the current CAS(E) this Sketch, as well as the current Essentials by Ellen Pin-Sights challenge. 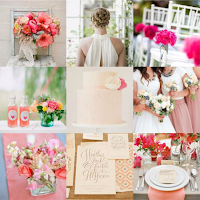 The pin-sights mood board is gorgeous and so I pulled out a few of the colors and the floral images as my starting point. I started by watercoloring three of the single hydrangea flowers from the Mondo Hydrangea set using a dark pink ZIG clean color marker and clear water. I wanted to have the concentration of color in the center of the flower. I added some yellow to the centers, s well as some Diamond Stickles. After I got all three done I let them dry and then die cut them with the matching die. 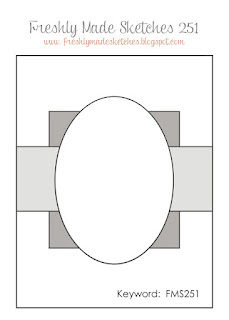 I die cut a piece of what color cardstock and then cut it on the diagonal per the sketch. Water was brushed on the piece and then two colors of green ZIG clean color markers were brushed on and then blended out with some more clean water. Once I finished I let that dry I stamped the sentiment from the Up the Happy stamp set using my mini MISTI so I could get a really nice crisp impression. The panel was adhered to a pink cardstock base, the flowers adhered and then a few sequins in the same color palette was adhered. Again, super simple, but I really love how it turned out. 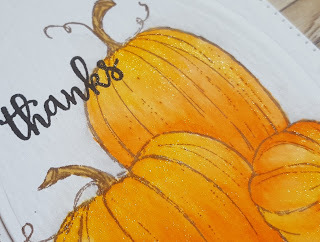 Thanks for stopping by today... love to hear your thoughts! Hey friends!!! Back from my vacation to the Washington coast and trying to get back into paper crafting mode... boy is it hard!! 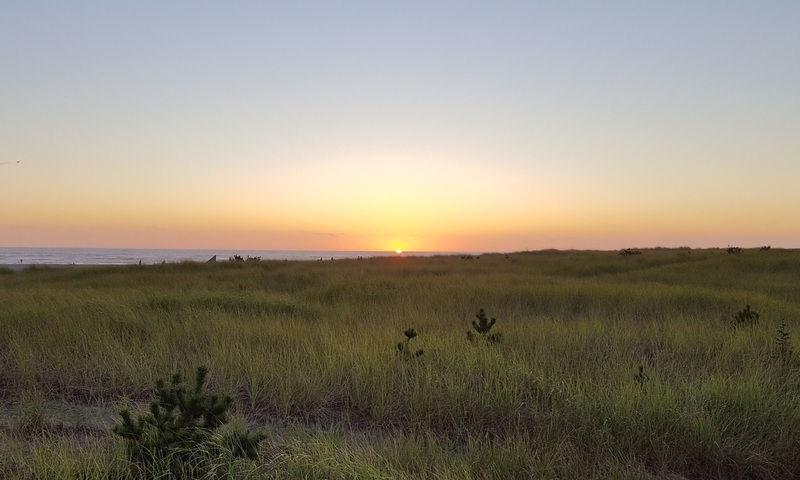 I loved waking up every morning and taking a walk along the beach and seeing all the sites, but I'm glad to be home! 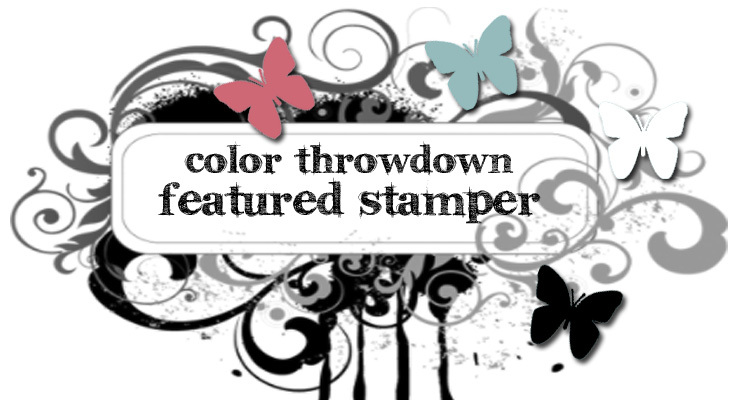 Playing along with a couple of challenges: Color Throwdown (which closes in mere hours!!) 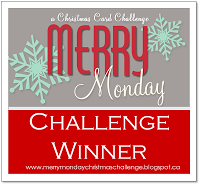 and Essentials by Ellen Mix It Up challenge. 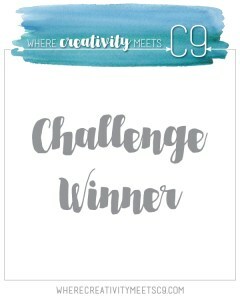 I wasn't going to play along with this month's Mix It Up challenge because I don't own anything Winnie & Walter, but thanks to my sweet friend, Greta, I was able to get something made... YAY! 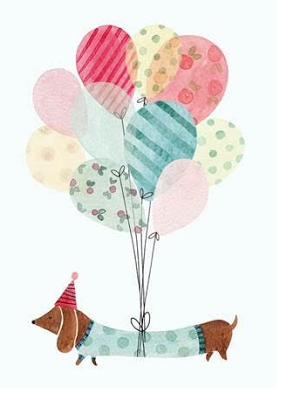 Greta offered to send me some of die cuts using her Winnie & Walter "hello" die and I immediately said "yes!!" 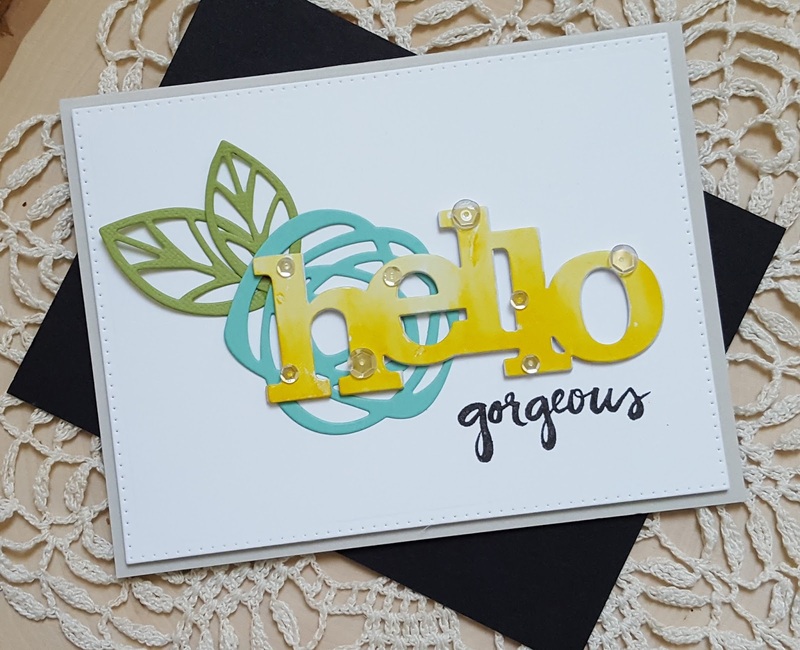 I paired the hello up with some die cuts from the EE Bold Blossoms stand alone die set and a sentiment from the EE Hello, Gorgeous stamp set. 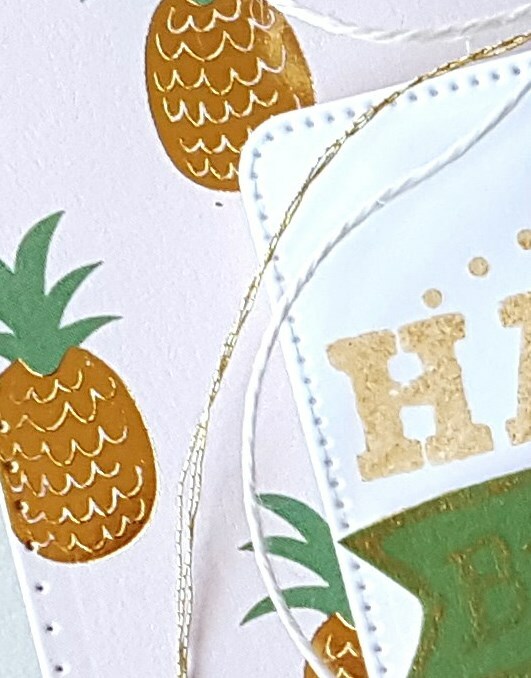 After stacking and gluing several hellos together I colored one with a yellow ZIG and then carefully blended out the yellow to create an ombre effect. I die cut the large flower from Bold Blossoms from light aqua cardstock and the leaves from light green. I adhered the leaves together and they layered them with the flower. The stacked hello was layered on top and then I carefully stamped the sentiment in Onyx Black ink. Some Pretty Pink Posh sparkly clear sequins were added to cover up some boo-boos! Thanks for stopping by today... thought I would share a few pictures I took last week. 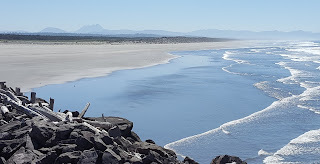 The first photo is of the Oregon coast taken at the jetty at Ft. Stevens state park. The views of the Pacific were amazing and all the more so because the sun had come out! 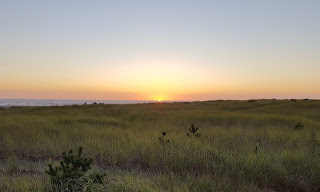 We were staying in Long Beach, WA which is very close to Oregon so we spent several days making trips to Oregon to visit Canon Beach, Tillamook and the area around Astoria. Ft. Stevens is just outside Astoria. 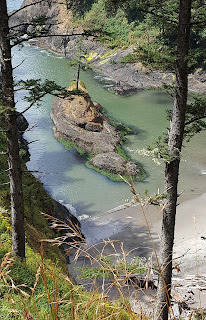 This next photo was taken at Cape Disappointment state park in Washington. When we got to the park it was rather cool and cloudy, but as we were walking up to the Cape Disappointment lighthouse the sun came out. We came around a bend in the trail and this beautiful little cove came into sight. Just had to take a picture! Cape Disappointment State Park is about 5 miles from Long Beach. 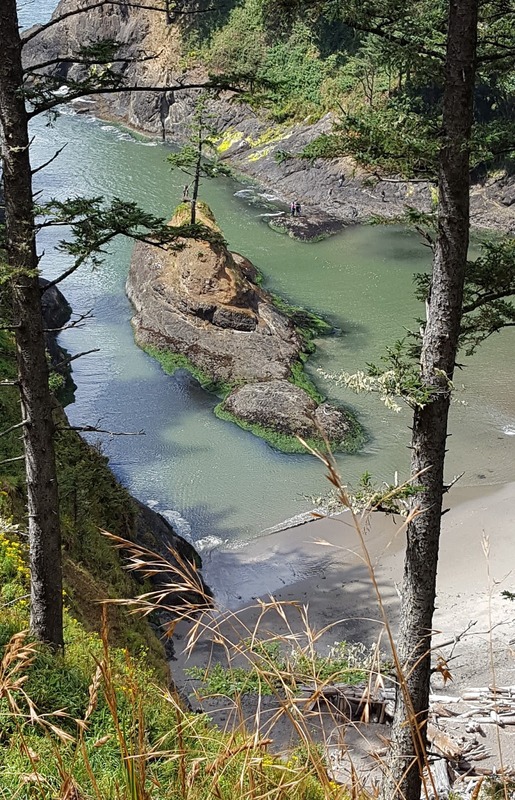 If you go to Long Beach definitely head to Cape Disappointment State Park. As is typical on the Washington coast our weather was rather spotty. Most of the time it was cloudy most of the day and so capturing a sunset is pretty hard. Finally on Thursday the weather cleared up and I was able to get some photos of the sun setting on the Pacific from the boardwalk at Long Beach, WA. The condos we were staying at were just a short walk from the beach and the boardwalk. My little guy, Gabriel, was with me and he was absolutely captivated by the way the sun seemed to slowly sink into the Pacific. Hey friends!! 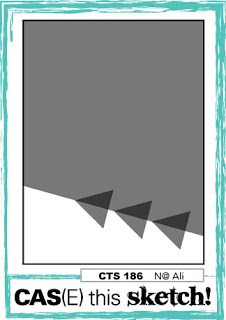 Popping with in a card that I made using the current layout from CAS(E) this Sketch. 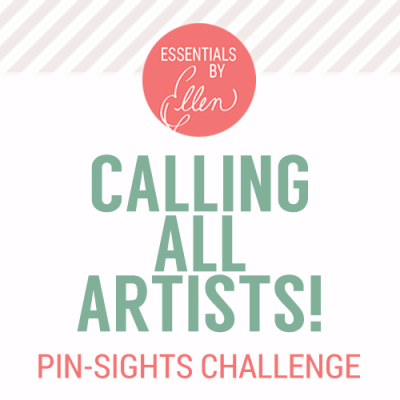 I will also be posting this to the Essentials by Ellen special pin-sights challenge, as well. 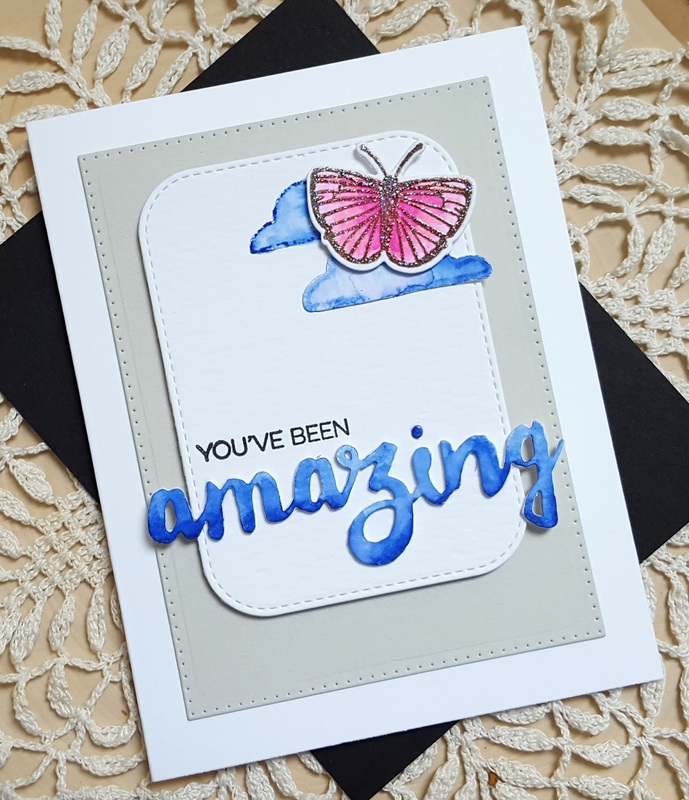 When I made a card a few days ago using the Essentials by Ellen Up the Happy stamp set I had a couple of butterflies left over that I didn't use. I decided to color up a couple more and use them for this card. 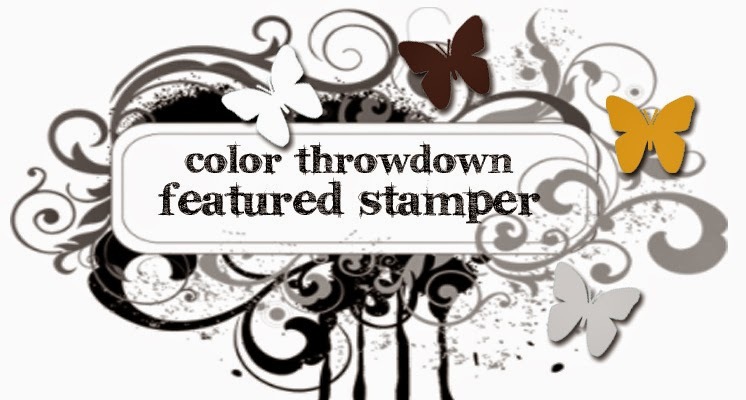 The butterflies were stamped with VersaFine Vintage Sepia and then colored with ZIG clean color markers and clean water. Once they were dry they were over stamped with VersaMark watermark ink, iridescent embossing powder applied and heat set. After die cutting with the matching die I set about getting the card finished up. I'm not going to lie... getting the card finished took me awhile. 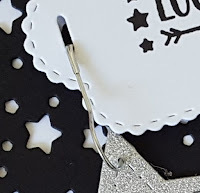 The hardest part was getting the sentiment centered, but using my mini MISTI made it a little easier. 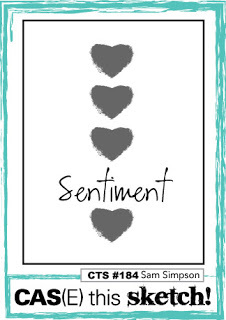 The sentiment is from the Concord & 9th Layers of Love stamp set. Once the card was assembled I added a sparkling clear sequin from Pretty Pink Posh to the body of each butterfly. Simple, but pretty I think. Thanks for stopping by today... would love to hear what you think!! Hello friends!!! Happy Friday!! Lisa and I are continuing our little challenge revolving around CASology. 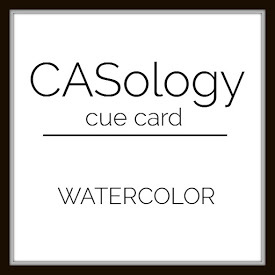 This week the cue word this week is watercolor. I have been having so much fun watercoloring with my ZIG clean color markers that I was definitely up for this particular challenge. Lisa and I will be taking a little break from the challenge next week as I will be away for a little vacation with my boys down on the Washington coast. With our impending trip to the coast (and the fact that I live super close to Puget Sound!) water has been on my mind a lot lately, lol! 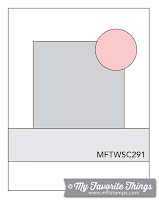 When I saw the cue word I immediately thought of the underwater themed stamp and die set that I got from Hero Arts as part of their July My Monthly Hero kit. 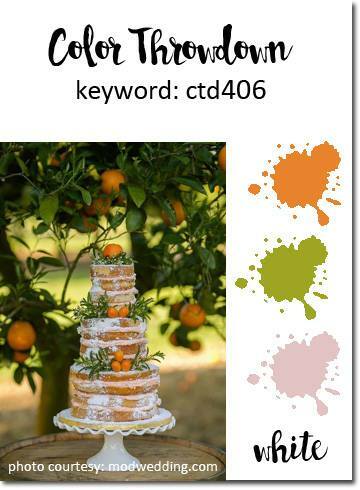 I checked last night to see what the new colors were going to be from Color Throwdown and I got to work. 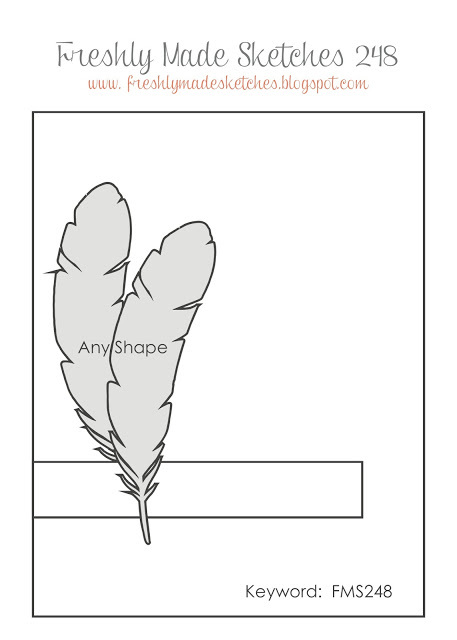 I was a little surprised when I checked the new Freshly Made Sketches layout to see that it was so similar to what I had done last night when I started working on my card. Don't you just love it when that happens?? 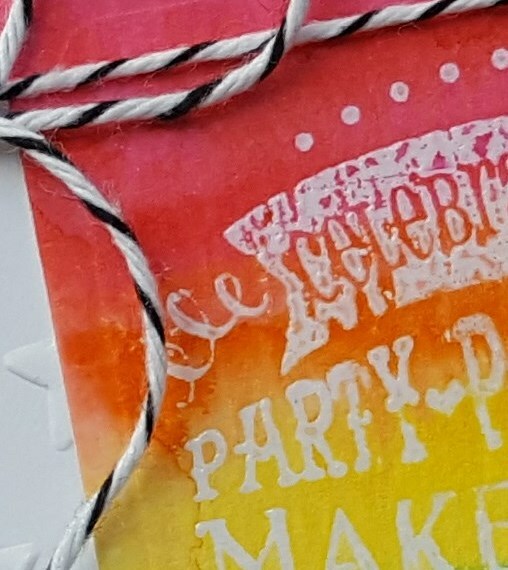 I started by stamping a coral and jellyfish image on some watercolor cardstock with VersaMark watermark ink, applied clear embossing powder and then heat set. 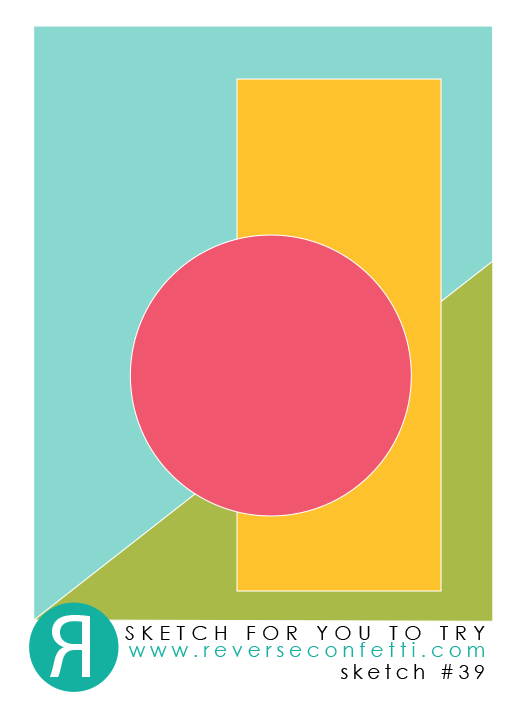 When I saw the Color Throwdown combo I interpreted the aqua color as being closer to blue than green so hopefully this will still work for the Color Throwdown team. 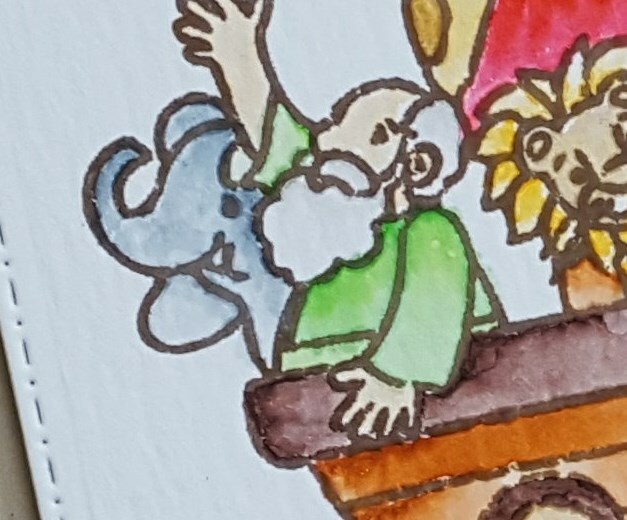 I scribbled a light blue ZIG marker on to my cardstock over the areas when I had stamped the images and then blended it out with clean water and a small paint brush. Once I got the look I was going for I let my panel dry. 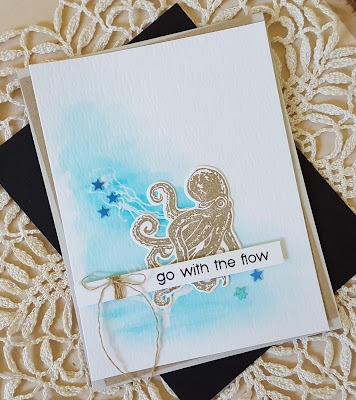 The octopus image from the set was stamped on white cardstock using kraft colored ink and then die cut with the matching die. I stamped the sentiment on a thin strip of cardstock and wrapped it with some thin brown twine. I trimmed down my watercolor panel and the adhered the octopus and the sentiment strip. Adhered some kraft cardstock panel to my card base and then the main panel. A few little star sequins were added and I was finished. Thanks for stopping by today... I so enjoy reading your comments! Thanks for stopping by today... please head over to the AJVD blog have a look and let me know what you think. I love reading your comments!! Hey friends!! Another beautiful day here in the Pacific Northwest. After some fun in the sun at the beach this afternoon I'm popping in with a little card that I made using the current sketch from My Favorite Things. I also going to add this to the guest designer call that Ellen Hutson is having for their challenges (They are asking you to combine Essentials by Ellen products with products from other brands they carry. 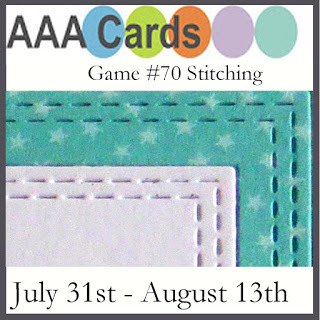 I'm using MFT products) and the current AAA Card challenges to use stitching (faux or real... mine is faux). I had been doing some coloring with my ZIGS, again, and after I finished up that project (you can see it here) I decided to color up a few butterflies from the EE Up the Happy set. 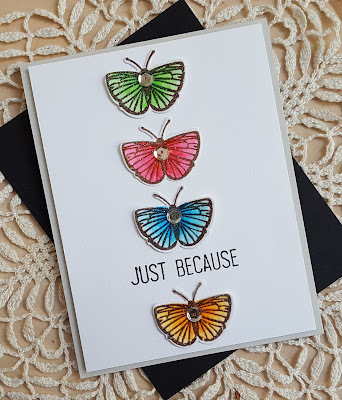 After the butterflies were colored and dried I over stamped them with VersaMark watermark ink, applied iridescent embossing powder and heat set. 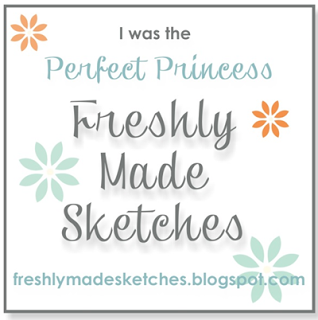 Wasn't sure what I was going to do with them, but then I thought one would be perfect for the MFT sketch challenge. I die cut some watercolor cardstock using the MFT Inside Out Stitched Rectangles and then stamped the small cloud from Up the Happy that had been colored with a blue ZIG marker. I then used clean water and a brush to color the cloud. A second cloud was stamped and colored using the same method. Once the cloud was dry I die cut it with the matching die. The sentiment is from the MFT Amazing stamp set and was stamped using VersaFine Onyx Black. The word amazing (also from MFT) was die cut from white cardstock and watercolor cardstock. 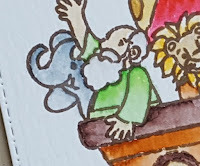 The watercolor word was colored with the same blue ZIG that I used to color the clouds. Once that was dry I stacked the words and adhered the word as you see. I added the second cloud and butterfly to the upper corner of the sentiment panel. To finish things off I die cut some light grey cardstock using a Rectangle die to frame up the sentiment panel and then adhered everything to a white cardstock base.